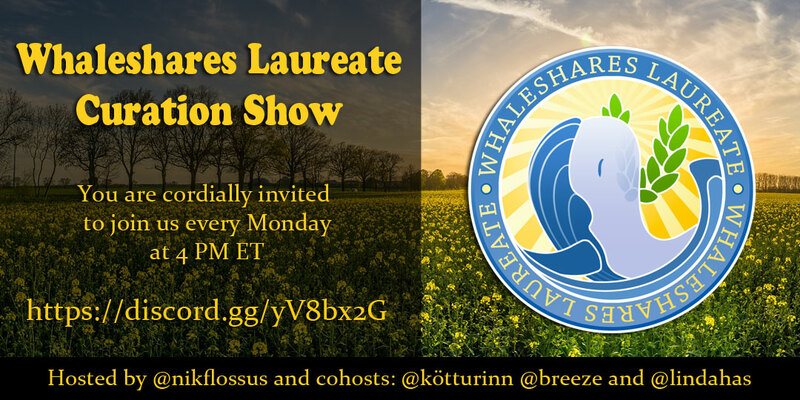 Tonight's show we'll be talking more about the future of Whaleshares, with more discussion about possible Whalefests and anything else that spring to mind! Every Monday the NEW Whaleshares Curation show aims to reward quality posts from the Whaleshares platform with solid upvotes. At present we select from any and all posts. As the platform expands the criteria for selection may change. We also run an award and competition system, targeted outside the platform and indeed outside of the crypto world and utilising judges with real world influence and reputation, aiming to bring 'normies' into crypto. More on that to come. You get to interact with a fun and interesting group of people. Hopefully you get to enjoy an interesting show AND you get free krazykoin for listening. What more could you ask for? Without the support of @krazykrista and her krazykoin this show wouldn't be able to go ahead. Thanks to her.